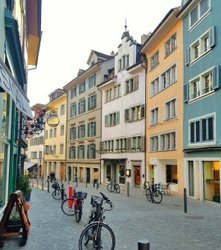 The Zürich Card can be purchased at many points of sale in and around Zurich, as well as in advance online. At Zurich Main Train Station, the friendly staff at the Tourist Information are looking forward to your visit. 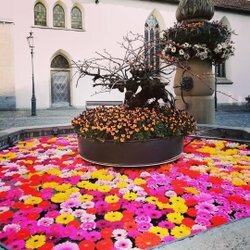 They would be pleased to provide you with detailed information about all the benefits provided by the Zürich Card – for the city card is not just a travel pass for the local public transportation, but also offers a host of price reductions and attractive savings. Ask, for example, about the current exhibitions that you can visit free of charge as a Zürich Card holder, or the best restaurants where you will be treated to a culinary surprise on presentation of your Zürich Card. It is well worth purchasing a Zürich Card directly on arrival at Zurich Airport. 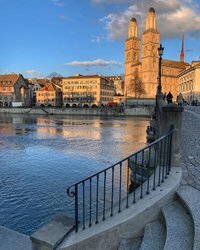 The city card gives you unlimited travel on all forms of public transportation in the entire city and surrounding region – so the trip from the airport to downtown Zurich is already covered. In Arrival 1 and 2, at the counters of switzerlandinfo+. Look out for the signs with red & white lettering on a black background. The information desks are open from 5.45am–11.30pm. At the SBB Travel Center at Zurich Airport. The Travel Center of the Swiss Federal Railways is located on Level -1 opposite Check-in 3. At the ticket machines of the Swiss Federal Railways (SBB) and the Zurich Transport Network (ZVV), which are mainly located on Level -1. Naturally, you also have the possibility of purchasing your Zürich Card later on at your convenience. These practical city cards can be obtained with just a few clicks from all ticket machines of the Swiss Federal Railways (SBB) and the Zurich Transport Network (ZVV). The Zürich Card can be purchased through the SBB (Swiss Federal Railways) Ticketshop as an online ticket, which you can then print out yourself. The OnlineTicket is only valid on presentation of a personal, official ID card (passport or identity card) issued in the same name as that on the ticket. The period of validity (date/time) must be determined at the time of purchase; subsequent changes or replacements are not possible. Important: In order to use the SBB Mobile App, it is first necessary to register under sbb.ch. Travelers who are only temporarily in Switzerland are recommended to purchase a SBB Online Ticket or to buy their ticket at a ticket counter or machine. You can select the desired connection and travel time under “Standard Timetable”. By tapping on “Purchase ticket”, the various price categories are displayed. You can find the ZVV Zürich Card 24 hours/ ZVV Zürich Card 72 hours under “Show more tickets”. The Zürich Card can be purchased as a MobileTicket under “Tickets → Buy tickets for fare networks → Zurich Transport Network → ZVV Zürich Card”. After purchase, the MobileTicket is saved on your smartphone under “Tickets”. IMPORTANT: The ticket is personal and non-transferable. Tickets can be purchased for a maximum of 8 additional passengers traveling with you. All travelers must be able to present a personal, official ID card (passport or identity card). The period of validity (date/time) must be determined at the time of purchase; subsequent changes or replacements are not possible.